The Kristberg is one of the Montafon's most beautiful and attractive winter hiking regions. 40km of groomed and prepared trails are available for you on the Kristberg, the Bartholomäberg and in Silbertal. Around 12 well sign-posted winter hiking paths offer you a great variety of diverse walks and easy high altitude trails. Take a run or a walk in the wonderfully clear and fresh winter air and enjoy pure recreation with a unique mountain panorama. All tour maps can be found at the Kristberg Panoramagasthof and the Kristberg indulgence team will gladly help you with first-hand hiking tips. Hiking is harmony for body, mind and soul and provides the hiker with vitality and high spirits. The peace and quiet of the mountains, the unspoilt natural environment and the rhythmical and steady movement take you to an almost meditative state of mind, which has a positive effect on the whole organism. Sportive activities also release endorphins and therefore make you happy. The Kristberg cable car will take you in only 5 minutes from 889m to 1,450m. The views here are unique and breathtaking. Keep right and walk along the Panorama cross-country ski run to the snow-covered “Wildried” moor. During the summer you will find a huge high alpine moor here at 1,562m, but during the winter this is all just one white field, where cross-country skiers can glide on a huge loop and hikers can enjoy the silence, the fresh air and the wonderful views. Take the same way back to your starting point. Once you have arrived on the Kristberg we recommend a visit at the Kristberg Panoramagasthof or the Knappastoba. The legendary St. Agatha miner's chapel is also worth a visit. Starting point for this winter hiking path is the Montafon Kristberg cable car mountain station, where you will walk on a high alpine trail past the Totenbühel and Falba to the Gasthaus Mühle pub in Innerberg. There you can take the post bust to Schruns and then from Schruns back to the Montafon Kristberg cable car valley station. This hike can also be extended if you add Tour 9 from the Gasthaus Mühle inn. Starting point is the Montafon Kristberg cable car mountain station, from there take the Totenbündel or Bodenstal agricultural roads to Silbertal centre. The small Kristberg winter circular walk starts at the Montafon Kristberg cable car mountain station and leads along the panorama trail to the “alte Säge”. From there walk towards the valley past idyllic “Maisässen”, which are west-Austrian pastures, and in direction of Stelza. Once you are there you can conveniently take the Montafon Kristberg cable car up the mountain or down to the valley. More ambitious hikers can take the same path up the mountain past the “Alpenfriede” hut towards the Montafon Kristberg cable car mountain station and walk to the Knappastoba or the Kristberg Panoramagasthof. The long Kristberg winter circular walk starts right at the Montafon Kristberg cable car mountain station and leads along the panorama trail to the “alte Säge”. From there walk downhill past the idyllic “Maisässen” pastures towards Stelza. Once you are there a prepared winter hiking path continues towards the “Schuler” house. The next kilometres lead you along the agricultural road first downhill to the “Silbertal-Kristberg” crossing and then from there uphill via Totenbühel and Hengawald forest to the Kirstberg Panoramagasthof. Once you are on the Kristberg why not visit the Kristberg Panoramagasthof or the Knappastoba? The legendary St. Agatha miner's chapel is also worth a visit. Starting and finish of this circular walk is Silbertal centre. Start at the Spar supermarket and walk eastwards past the Kristberg cable car and the “Sennhüsli” through the snow-covered winter landscapes to the”innere Wühre” parcel. Afterwards walk through the magical forest road westwards to the edge of the forest. From there you will be able to enjoy wonderful views over Silbertal centre. Walk a bit uphill and get back to the sole of the valley and then continue your hike along the cross-country trail back to the centre. If your legs are still fit you can extend the walk and take the path between the Silbertal Hotel and the church, past various farms, the Kapell cable car and the Frauenlobtobel via the Schöffel agricultural road and then further to the Dönz joinery. Cross the road and then walk on the pavement along the L95 road or the Brunnenfeld agricultural road and the L94 road back to the centre. From the centre walk towards Hinteres Silbertal along the silvery glistening Litzbak brook, past impressively frozen Teufelsbach waterfall, the small forest chapel and the small Maisäßhäuschen hut and to the “Holzerhütte” hut and enjoy the wonderfully snow-covered winter wonderland. If you take a sleigh with you, you can toboggan parts of the way back. 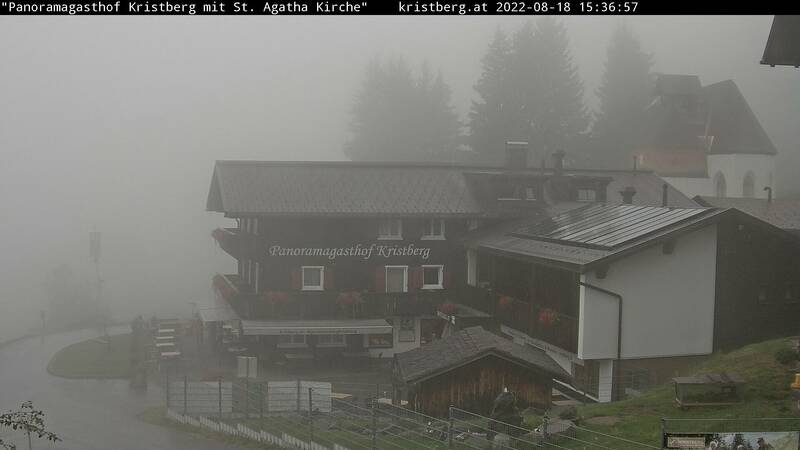 Starting point is the parking area at the Bartholomäberg Church at 1,087m. Take the Roferstraße street past the newly built “Hennenkopf” estate and continue on the Parzelle Worms agricultural road. Here is where the newly designed and prepared winter hiking trail starts that leads through the idyllic natural environment with unique panoramic views over the Rätikon mountain range. After ca. 10 minutes you will get to the “Gortischang” fork. From here you will get to the “Rellseck 1500m” viewing platform after ca. 30 minutes. From the “Gortischang” fork one path will lead you to the Lake Fritzasee. From there continue via Obersasella to the Barthold Rank fork. Via Sasella you will get back to the starting point at the Bartholomäberg Church. Starting point is the Bartholomäberg Church. It starts like Circular Walk 1 up to Barthold Rank. From here via Botzis – Stelzer to Innerberg (Gasthaus Mühle inn) and continue via the panoramic trail to get back to the starting point at the Bartholomäberg Church. From the Gasthaus Mühle inn you can also take the post bus to get back to the Bartholomäberg Church. Starting point is the Bartholomäberg Church, and from there an easy hiking path leads to the Parzelle Filters past the Parzelle Loch with wonderful views over Silbertal. Continue via the Oberdörfli-Loch agricultural road and back to the starting point. Starting point is the Bartholomäberg Church, walk along the road to St. Anton in the Montafon and continue on the Illuferweg path to Tschagguns – Schruns or at the Gantschier fork via Gauenstein – Grüner Wald to Bartholomäberg. Starting point is the parking area at the Bartholomäberg Church, via Roferstrasse road past the “Hennenkopf” estate to the “Chrestlis-Egg” viewing platform. From here you will then walk via the Riederhof to Filters. Via the panorama trail with breathtaking views you will get back to the Bartholomäberg Church. As an alternative you can also take the high altitude trail from the Riederhof farm, which will also lead you back to the Bartholomäberg parish church. How good that the Kristberg Panoramagasthof is member of the Montafon Aktivclub, this way you as a guest will also be able to benefit from various discounts and free entrances for various leisure activities in the Montafon. A small selection: 50% discount on guided snowshoe hikes & taster sleigh rides. 10% discount on toboggan pass, Latschau-Vandans Golmerbahn cable car and the ski safari organised by the Golm snow sport schools and much more. All our guests will get free winter hiking poles at the rental stations. Get information about our winter hiking package deals at the Kristberg Panoramagasthof and send us your no obligation holiday enquiry now. We will immediately respond with an attractive winter offer.